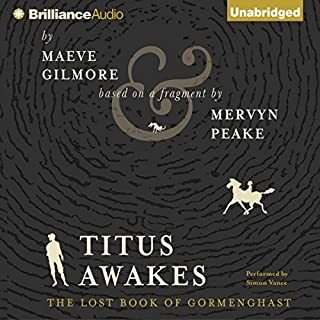 Continuing to mark 100 years since Mervyn Peake’s birth, Naxos AudioBooks releases the second novel in the cycle series. 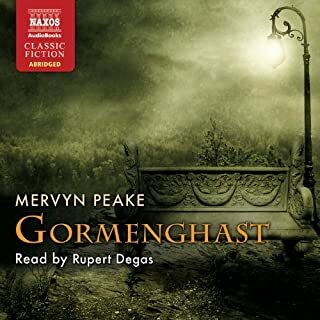 Gormenghast follows protagonist Titus (now the 77th earl of Gormenghast) from the age of seven to 17 and describes his desire to break free from the physical and psychological constraints of the castle. Meanwhile, the Machiavellian Steerpike continues his dastardly rise to power. But will he succeed? Available to American readers for the first time, this landmark collection gathers four groundbreaking fantasy classics from the acclaimed author of Light. 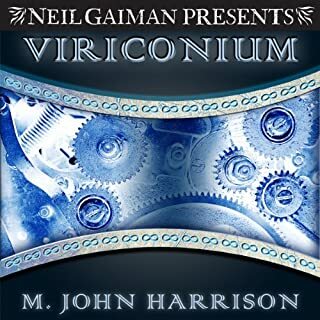 Set in the imagined city of Viriconium, here are the masterworks that revolutionized a genre and enthralled a generation of readers: The Pastel City, A Storm of Wings, In Viriconium, and Viriconium Nights. Back in print after a long absence, these singular tales of a timeless realm and its enigmatic inhabitants are now reborn and compiled to captivate a whole new generation. Tolkien's acclaimed modern classic 'fairie' tale, read by Derek Jacobi. Smith of Wootton Major journeys to the Land of Faery thanks to the magical ingredients of the Great Cake of the Feast of Good Children. Farmer Giles of Ham did not look like a hero. He was fat and red-bearded and enjoyed a slow, comfortable life. Then one day a rather deaf and short-sighted giant blundered on to his land. More by luck than skill, Farmer Giles managed to scare him away. The people of the village cheered: Farmer Giles was a hero. His reputation spread far and wide across the kingdom. So it was natural that when the dragon Chrysophylax visited the area it was Farmer Giles who was expected to do battle with it! In Borne, a young woman named Rachel survives as a scavenger in a ruined city half destroyed by drought and conflict. The city is dangerous, littered with discarded experiments from the Company - a biotech firm now derelict - and punished by the unpredictable predations of a giant bear. Rachel ekes out an existence in the shelter of a run-down sanctuary she shares with her partner, Wick, who deals his own homegrown psychoactive biotech. 'Leaf by Niggle' recounts the strange adventures of the painter Niggle, who sets out to paint the perfect tree. But he senses that he will be snatched away from his work long before it is finished - if indeed it could ever be finished in this world. For it is in another and brighter place that Niggle finds his tree is finished and learns that it is indeed a real tree, a true part of creation. Delightful Magic from Tolkien and Jacobi! Like Visiting with an Old Friend, Only Better. Dar Oakley - the first Crow in all of history with a name of his own - was born two thousand years ago. When a man learns his language, Dar finally gets the chance to tell his story. He begins his tale as a young man, and how he went down to the human underworld and got hold of the immortality meant for humans, long before Julius Caesar came into the Celtic lands; how he sailed West to America with the Irish monks searching for the Paradise of the Saints; and how he continuously went down into the land of the dead and returned. From acclaimed author Ursula K. Le Guin, and with an introduction by Karen Joy Fowler, a collection of thoughts - always adroit, often acerbic - on aging, belief, the state of literature, and the state of the nation. Ursula K. Le Guin has taken listeners to imaginary worlds for decades. Now she's in the last great frontier of life, old age, and exploring new literary territory: the blog, a forum where her voice - sharp, witty, as compassionate as it is critical - shines. No Time to Spare collects the best of Ursula's blog, presenting perfectly crystallized dispatches on what matters. In Volume 3 of the classic Gormenghast Trilogy, a doomed lord, an emergent hero, and an array of bizarre creatures haunt the world of Gormenghast Castle. This trilogy, along with Tolkien's Lord of the Rings, reigns as one of the undisputed fantasy classics of all time. At the center of everything is the 77th Earl, Titus Groan, who stands to inherit the miles of rambling stone and mortar that form Gormenghast Castle and its kingdom. In this third volume, Titus turns against the iron discipline of Gormenghast's ritual and sets forth on an uncertain quest - to find himself. His pilgrimage leads to encounters with mysteriously omnipotent, ruthless police, and a battle to the death with Veil, a gaunt ogre with a body like whips and a face that moves "like the shiftings of the gray slime of the pit". Titus, in his quest for independence from his legacy, despite the fantastical trappings of his odyssey, captures successfully the humanistic conception of contemporary man. The final book in the Gormenghast Trilogy, considered by many to be one of the greatest fantasy series ever written, right up there with Tolkiens Lord of the Rings. Mr. Peak died before completing his last book, and Titus Alone was compiled after his death from his notes. The book is weaker than the first two installments for that reason. But the sheer brilliance of the prose makes it a pleasure to listen to. I believe that Mervyn Peake is one of the best writers I have read since Charles Dickens. He draws characters like none other. His eye for detail and the weirdness of his characters is probably attributable to his being a fine artist in the first instance and a writer second. His biography also states that much of his Gormenghast world is based on his experiences of vast and ancient castles as a child growing up in rural China where his father was a doctor and missionary. 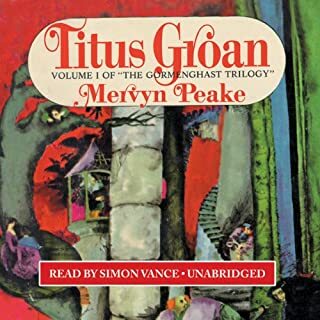 Clearly Titus Groan and Gormenghast (parts one and two of what was to be a series of books) are masterpieces. I have raved on about them, their characters and – to a far lesser extent – their plot. The final book, Titus Alone, should have been the culmination of this vast saga. Again Peake flourishes his craft, but almost immediately one realises something is amiss. The story is fragmented, the timescale confused, the flow is jerky with abrupt, apparently unrelated scenes. There is little cohesion and Peake manages to paint glimpses of people and startling episodes which are not linked in any cohesive way. One gets the impression that the book consists of sketches which will one day be written into a properly structured whole. Although Titus has fled from Gormenghast and finds himself in another world and in another time altogether the reader soon becomes aware that the characters are merely shallow replicas of the Gormenghast crew – he is a master of character, but it is as if he has created all the characters he can and now churns them out time and again with little variation. The overwhelming impression is one of chaos and surreal anarchy. All of this makes sense when one understands that Peake was in a rapidly declining phase of dementia when writing the book and although still relatively young (about 50) he was losing his mind and would soon be in a home for the rest of his short life. His mental condition reflects in the delirium of his writing. We can only mourn that such a magnificent talent was taken too soon. Is Gormenghast only the delusion of a "dotty" young man? It appears in no atlas and belongs to a past age of lineage, lords, and castles. 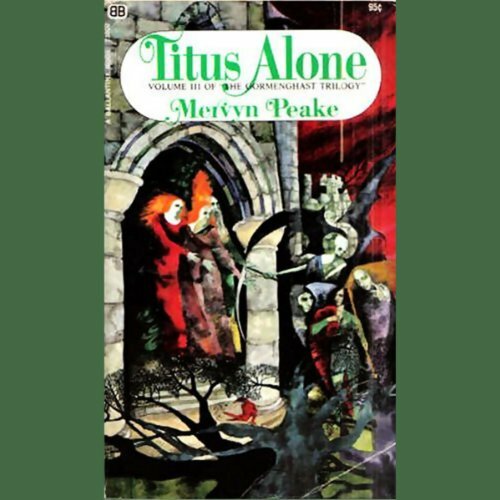 After his birth in the vast castle in Titus Groan (1946), the first novel in Mervyn Peake's trilogy, and after his desertion of it in Gormenghast (1950), the second novel, in Titus Alone (1959/1992) young Titus finds himself lost in a modern world of cities, cars, airplanes, factories, concentration camps, detectives, and even sentient spy globes (and maybe even clones), ever pursued by mysterious identical twin men in tall helmets. Titus Alone is a strange novel! Picaresque, allegorical, science fictional, and dream-like. It concerns Titus' struggle to come to terms with Gormenghast, with his desertion and memories of it, with his tenuous hold on its reality. Forthright and self-centered, Titus moves through the modern world like an unstable Candide, not wanting to become tied down to places, friends, or lovers. Nevertheless, he builds relationships with various people, including the larger than life, rudder-nosed, free-spirited Muzzlehatch, the beautiful, ample, and kind Juno, his three beggar bodyguards from the Under-River (into which the failures of the world descend), and the exquisite and spoiled rich girl Cheeta, whose father is a scientist who has built a factory with identical faces in the windows and sounds like the smell of death. Robert Whitfield (AKA Simon Vance) gives a stellar reading of Titus Alone. His voices for Muzzlehatch and the denizens of the Under-River are engaging and savory, and his reading of Titus' delirious ravings (in which he channels the people from his past) is inspired. The only flaw is that his Cheeta sounds too weak and petulant and not malevolent enough. The audiobook is the 1959 edition with 109 chapters, not the more recent and restored version from 1992 with 122. The added chapters develop Juno's character, the factory, and the charade climax, but I think the original version of the audiobook is fine without them. Titus Alone is half as long as the first two novels in the trilogy, has fewer detailed descriptions and shorter chapters, and feels less immersive, coherent, and polished. And I sympathize with readers who feel that, due to his declining health, Peake was not able to write a third novel to equal the first two in bizarre and compelling grandeur, and that it's better just to read a duology and to ignore the third volume. However, readers who love the first two books will find flashes of their brilliance as well as new moods and modes in Titus Alone, and though it is not a masterpiece on their level, it is interesting and has unforgettable characters, scenes, and lines, for example, the absurd courtroom questioning of Titus about Gormenghast, the pleasurable early love between Titus and Juno, the horrible conversation between former prison camp guard Veil and former prisoner Black Rose, and the sad sunset clouds that look like silently roaring animals to Muzzlehatch. I have read the books, I thoroughly enjoyed this performance. I think the reader adds to Peake's mastery. After listening to the entire unabridged trilogy, I strongly recommend the abridged version. Although the story line wasn’t bad the author spent WAY TOO MUCH time developing minor characters. It seemed that he constantly went off on tangents that in the end had almost nothing to do with developing the main story line. He also would have made my English literature teach proud with his excessive use of adjectives. It often took 10 sentences to say what could have been said in 10 words. Published posthumously and suffering at the hands of an unsympathetic editor, Titus Alone disappointed many readers and baffled critics at the time of its release. It has since been polished and expanded with reference to Mervyn Peake's manuscript notebooks in an attempt to re-create the author's intentions at a time of failing health (though not flagging creativity). The revisions, which include the insertion of whole new chapters, clarify some of the obscurities of the original and make greater play of the nightmarish references to factories, machines and scientists. Although still by no means an easy read, the revised version has a greater logic and cohesion. Unfortunately, although Robert Whitfield concludes his Gormenghast series with the same excellent standard of reading and characterisation of the previous two volumes, he reads from the original version. Therefore, if you are using book and recording together, take care your versions match or, like me, you will find yourself leafing backwards and forwards in vain for the missing sections. Well, I feel strangely let down by the 3rd and final installment of the Gormenghast trilogy. While all three books are a mix of fantasy and social commentary, the first two have at least a sense of purpose, something monumental happens occasionally, there's a definite feeling of a story unfolding, a journey happening but with the 3rd the whole story seems to me to be completely imaginary and esoteric. I couldn't place myself in the world of Titus in the last book and for some time felt I didn't know what was going on. Right at the end I'm still not sure and it feels it's almost a 'cop out' to conclude the trilogy with such a wooly and unsatisfactory ending. Peake not at his peak. 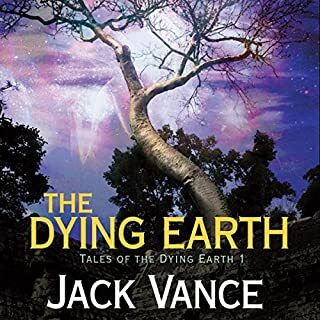 The last book in the trilogy and although still very good, it is not quite up to the standards of the first two, having been finished by the authors editor after Peakes death. Titus' travels bring him to a world more like our own, with cars and modern buildings, where he is mocked for his claims that he is the 77th Earl and lord of a place called Gormenghast. The story drifts a little in structure, and the characters he meets are not as darkly charming as the residents of Gormenghast castle, but all in all this book is a must if you have read the first two. Mervyn Peake sadly deteriorated with Parkinson's disease in the later part of his life, was unsuccessfully treated with electroconvulsive therapy, and was unable to finish Titus Alone. 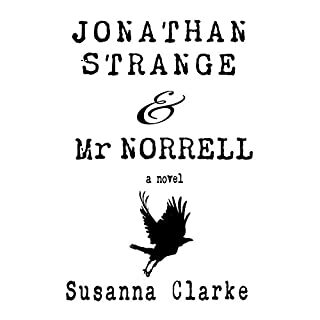 The novel was compiled by his editor Langon Jones from early drafts, excerpts from notebooks and scraps of paper. The novel naturally feels disjointed and lacking in purposeful characterisation, but the journey of Titus into isolation and madness is a harrowing and disorientating one which made it impossible for me to put the book down. I think the novel needs to be appreciated for what it is, unfinished, disjointed, brilliant uncut diamonds from one of the most powerful wordsmiths of the 20th century.